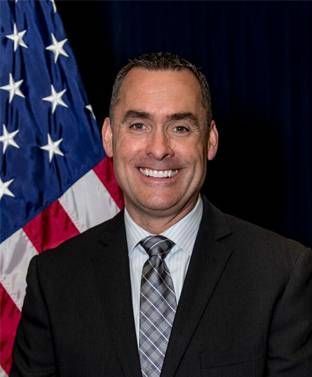 STOCKTON, Calif. — Guardian Alliance Technologies (GAT), a leader in background, investigative-screening software announces a strategic endorsement from FBI National Academy Associates Immediate Past President, Captain Barry Thomas, a decorated leader among the nation's law enforcement elite. In bringing awareness to its solutions-based software, Guardian Alliance Technologies began earning the support of local leaders of influence within the law enforcement profession. Among them, Captain Barry Thomas, a renowned leader, recognized for his leadership merits and community service awards. Shortly after reviewing the software's features and functionality, Captain Thomas placed his support behind the technology company with law enforcement at its core. Upon recognizing the value of having a software solution like Guardian to automate certain outdated, manual processes that were still in use since before there were computers, Captain Thomas chose to endorse Guardian Alliance Technologies for their breakthrough, background investigative-screening software. Of the company, he said: "I've always been an advocate of any person, group or program that has something beneficial to offer the law enforcement profession. Guardian's software fits that mold as it will help those officers involved in the background screening process to have a better, more efficient experience while performing their duties. Because of who they are as people and what they produce as a product, it is easy to get behind the Guardian program and the team over at Guardian Alliance Technologies." Widely recognized by officers and citizens alike as among one of the finer law enforcement officers to have worn the badge, Captain Barry Thomas' passion for law enforcement is exemplified in the various capacities he has served in over the course of his notable career, earning several awards for service throughout. While serving, he was privileged to uphold several key roles including jail and patrol deputy, crime prevention officer, field training officer and supervisor. Other duties demonstrating his commitment to community and country were time spent as emergency response team member and commander, dive team member, public information officer, sergeant, administrative lieutenant and his current position of chief deputy. Captain Thomas currently serves as the Immediate Past President of the FBI National Academy Associates. With a global membership of nearly 17,000, representing 170 countries, the FBINAA is recognized as the world's strongest law enforcement network. As a member of the National Sheriff's Association, the Iowa State Sheriffs and Deputies Association, the International Association of Chiefs of Police and the FBI Law Enforcement Executive Development Association, Captain Thomas has an intricate understanding of the roles and functions of the various law enforcement positions he has filled and led. Additionally, he also served in the capacity of Executive Director and Chair of the Board of Directors for Safe Call Now, a non-profit organization based in the Seattle, WA area. Some of Captain Thomas' other notable accomplishments are previously serving as a member of the Board of Directors for the ACCESS shelter in Ames, IA and for the Iowa Crime Prevention Association. Captain Thomas earned his Bachelors of Liberal Studies degree from Iowa State University in 2002 and a Master of Criminal Justice degree from Boston University in 2005. He is also a graduate of the Iowa Law Enforcement Academy and the F.B.I. National Academy, Session 223. In July of 2008, Captain Thomas was presented with the distinguished, Livio A. Beccaccio Award from the FBI National Academy Associates. The Livio A. Beccaccio Award is a living memorial presented annually to an FBI National Academy Associate member who has demonstrated exemplary character through an act of heroism, outstanding community service, innovation in law enforcement, or leadership reflective of that by which FBI Special Agent, Livio A. Beccaccio lived. For his years of service, experience, and commitment to the core principle of every law enforcement officer- to serve and protect citizens, Guardian Alliance Technologies is honored to have a true hero in their ranks. In December of 2008, Captain Thomas was presented with the Sullivan Brothers' Award of Valor by Iowa Governor Chet Culver. Captain Thomas received the award for a June 8th, 2007 incident in which he saved a young girl's life by disarming a knife-wielding assailant with his bare hands.